Cracking the smartphone market is no easy task. Samsung, Huawei and Apple dominate the arena, selling well over 40 per cent of all smartphones, and the premium end is even more skewed towards the big trio. But that doesn't mean others cannot succeed. Gaming specialist Razer introduced its unique handset last year, One Plus continues to offer a fine balance between features and cost, while Asus, better known in the peripherals space, has carved out a name with the ZenFone line. That line now extends to the ZenFone 4. 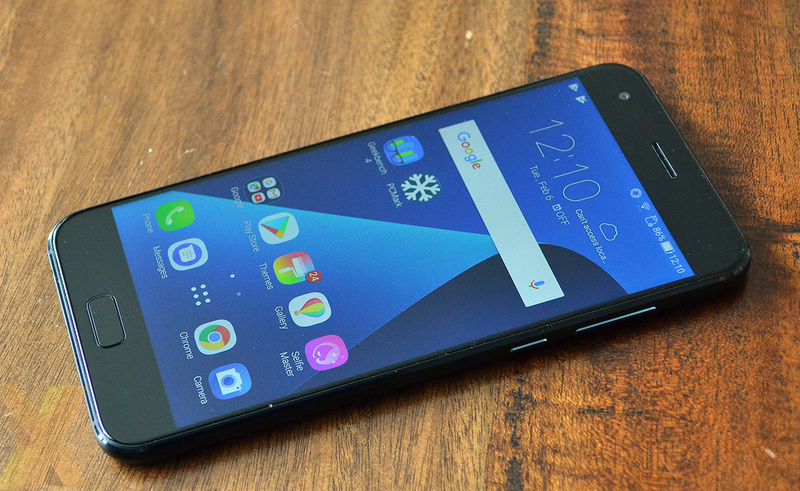 Not to be confused with the cheaper Max version, ZenFone 4 (ZE554K), available in black and white, costs £450. A considerable outlay, so let's see exactly what the Taiwanese giant has cooked up. 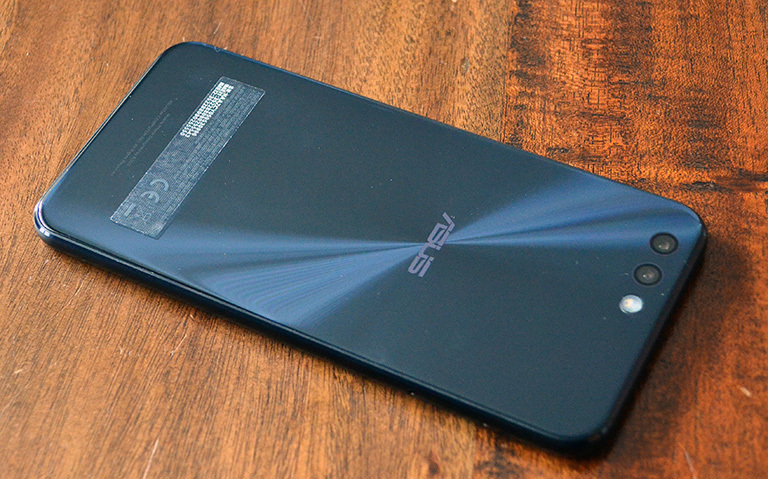 The ZenFone 4 is very much a by-the-book design by Asus. Eschewing the dominant curves found on some premium handsets, the slab-like appearance is heightened by having Gorilla-protected glass on the front and back while the sides are metal. The effect is seamless and done well, but I can't help feel this glass sandwich isn't in keeping with modern smartphone design. Such a move makes this 5.5in handset interesting to hold, as the combination of glass and no camera protrusions feels slippy in the palm and rather too happy to slide off normal surfaces if used without a cover. And being glass, it doesn't half pick up fingerprints with aplomb. I was forever cleaning the phone after even light use. The form factor is pretty standard, coming in at 155.4mm x 75.2mm x 7.5mm and weighing in at 165g, which is a bit bigger and heavier than, say, a One Plus 5T, but not so much that you would notice the difference. Inside, a non-removable 3,300mAh battery is standard fare, too. Expansion wise, a microSD card can be inserted into the second SIM slot. Though not a great looker on first blush, ZenFone 4 has above-average build quality and buttons in just the right places. The front is home to a fingerprint sensor/home button - which whilst quick is no match for the alacrity shown by the latest Huawei phones - and a couple of capacitance buttons on either side. On/off and volume buttons are at the right height for thumb control, even with my small-ish hands, while at the bottom, power is sourced via a USB Type-C connector. Thankfully Asus keeps a headphone jack and has DTS Headphone:X-certified audio to boot. There's also a decent-sized grille for the dual speakers that punch with solid heft. A standard 8MP snapper is present, as well, providing an f/2.0 lens and standard 84° view. Asus claims the ZenFone 4 can charge up to 50 per cent capacity in 36 minutes and offer up to 16 hours of video playback or 18 hours of WiFi-enabled web browsing off a full charge. Sounds optimistic to me, especially given that the USB port only confirms to v2.0, so I'm eager to see how it does in the battery rundown test later. Around back, under that slippy glass, Asus carries over the Sony 12MP IMX362 sensor from the ZenFone 3. Noted for its large 1.4µm pixels (others commonly use 1.12µm), low-light performance is reckoned to be a plus point. Offering a f/1.8 aperture lens, 4-axis optical image stabilisation, it is supplemented by a secondary Sony 8MP IMX351-powered sensor supporting a wider-angle view - 120° instead of 83° for the main sensor. The pixels are of standard size and the lens slower, coming in at f/2.2.